Spring into the new decade beautifully! 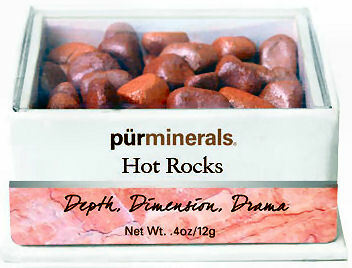 Look like you’re glowing from the inside with purminerals Hot Rocks mineral makeup. Brighten your eyes, lips, and cheeks with its pink and pearl pigments. purminerals.com, $23.50. Outline your eyes with a long lasting, quick drying eyeliner while strengthening and nourishing the roots of the lashes. 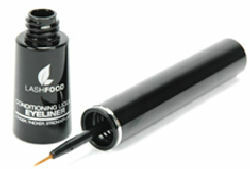 LashFood Conditioning Liquid Eyeliner, LashFood.com, $27. Washing your hands with soap and liquid detergents can take a toll on your nails. 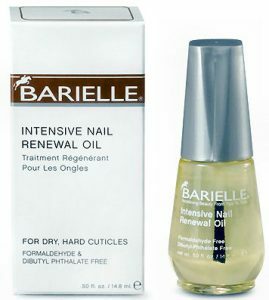 Restore your dry hard cuticles with Barielle Intensive Nail Renewal Oil. Barielle.com, $12.50. Give your cheeks a natural flush and look like you were born with high cheekbones with Purple Lab Cheek Implants. 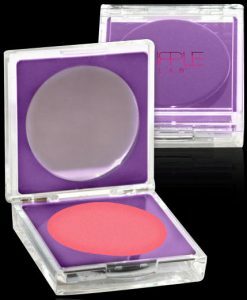 The cream blush comes in two shades and has collagen and hyaluronic acid to help you achieve a youthful appearance. Six Inch Heels, PurpleLabNYC.com, $26. 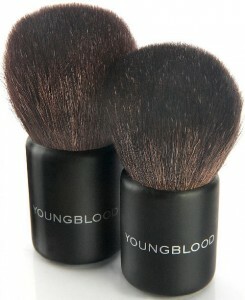 Get an airbrushed finish every time with Youngblood Kabuki Brushes! The bristles are made with luxurious goat hair and come in two sizes that provide light to full coverage, while the short solid wooden handles received a stamp of approval from the environmental agency Forest Stewardship Council (FSC) for their green efforts. Available in March, YBSkin.com, $37 for large, $34 for small. 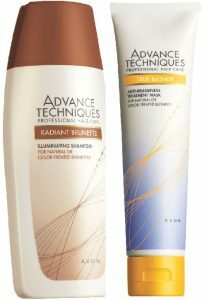 Blonde or brunette, natural or colored, protect and enhance your hair color with Avon Advance Techniques. The new line contains shampoos, conditioners, treatment masks, and leave-in sprays that address specific problems for both blondes and brunettes. “Blonde Ambition” repairs, smoothes, and neutralizes unwanted brassiness while “Bombshell Brunette” helps extend the life, luminosity and tonal richness of brunette shades. Avon.com, See website for prices. Do away with dull dry skin with Soap and Paper Factory Body Scrub. The all-natural scrub contains no paraben, phthalate, or petroleum and 10% of proceeds will be donated to Maloto, a non-profit organization that helps improve the lives of women and children in Northern Malawi. 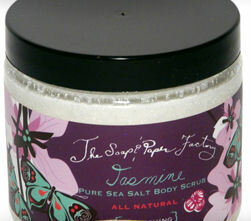 Jasmine, SoapAndFactory.com, $36. Soon enough, you’ll be wearing open-toed shoes, but hopefully not with cracked dry feet. Exfoliate and hydrate your feet at the same time with Miss Oops Pedicure in a Bottle. It contains glycolic and salicylic acid to help remove dead skin cells, shea butter to moisturize, and lavender for a pleasant scent. MissOops.com, $18. 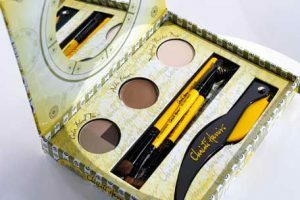 Shape your own brows like a pro with Christi Harris Brow Planing System. The goof-proof kit has all the tools you need to shape and maintain your brows at home. ChristiHarrisBrows.com, $39.95 special offer ($59 regular price). Get high shine and silky color with Hourglass Cosmetics Prodigy lip glosses. The line comes in six colors that are packaged in a flat tube, which can easily slip into your clutch or back pocket. Wear it alone or over your favorite lipstick. Available at Sephora.com starting 2/18/10; $26. Now there’s an acne treatment that works on the face, body, and scalp! Kairos Oil Reducing Pore Perfecting Treatment contains natural oils and 1.0% salicylic acid to gently exfoliate, minimize excess oil, curb bacteria, and penetrate pores to fight acne while keeping hair cleaner longer. KairosClear.com, $28. Lose up to four dress sizes with the Slimmer Silhouette Slimmer Body Wrap. The do-it-yourself kit has an all natural mineral solution that also helps reduce cellulite, smooth and tighten skin, and remove impurities. It requires no subsequent down time and is less expensive than liposuction and spa wraps that can cost $100 per treatment. SlimmerSilhouette.com, $250 (12 treatments). Get manageable, strong, and smooth hair with John Frieda Root Awakening Strength Restoring Smoothing Lotion. The lightweight formula contains Eucalyptus and is enriched with vitamins to help you style your hair straight or curly and anything in between. Sold at drugstores nationwide, $6.49. 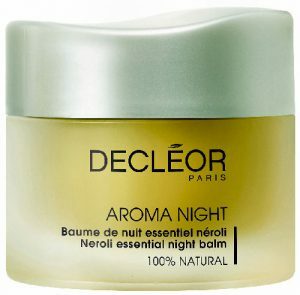 Hydrate skin while you sleep with Decléor Aroma Night Neroli Essential Balm. The nighttime moisturizer softens and soothes while brightening and rejuvenating dry winter skin. Nordstrom.com, $69.